A few years ago I’d put on my first “office workout” demonstration for a room full of people with a large corporation. It was apparent that people were suffering from spending the day practically immobile so I had developed different programs that most anyone could follow. was originally a collection of personalized training programs I’d written for various office dwelling clients. 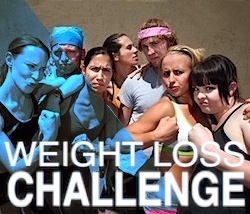 – people who want to be able to burn off calories while at work. – people who need to be able to fit in some exercise because their lives are so hectic and they are living on tight schedules. – people whose health depends on getting some healthy movement into their days. Some peoples initial hesitancy around exercising in the workplace includes worrying about sweating in their work clothes. There is also the concern about being able to move about in restrictive suits and dresses. Other issues that make some people reluctant to exercise in the workplace are feeling like they would stand out and be ridiculed. Some people are worried about their cranky boss. 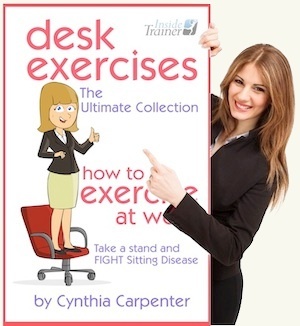 Fortunately the world has been changing and with the knowledge of how lethal Sitting Disease really is, fitness in the workplace is becoming more and more acceptable. Some companies are even offering their workers rebates for under desk exercise equipment. After having written several programs there was quite a collection. Now I have put these exercises all together in one place where anyone can have access. Inside you will find several favourite exercises and movements that fight sitting disease, burn up calories, improve circulation, and increase metabolism. There are even short, 60 second movements that can have a greater benefit than 30 minutes of sweating at the gym. Also included is the Popular Crowd Pleaser that can burn off up to 460 calories in your work day. Don’t worry about working up a sweat, or annoying your boss because these are uniquely designed for the office worker. I know you are wearing your business attire and you can perform all of these movements quite comfortably. 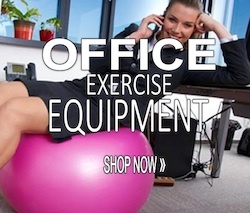 Also included is a short list of the most popular and more favoured pieces of desk exercise equipment.